Tattoos have been a part of culture and expression since as far as 5200 years ago, showcasing the importance of self-expression through various markings and its transcendence through cultures and time. Tattoos vary from simple pictures, such as small birds or flowers, to hugely intricate large tattoos covering most, if not all, of a person's visible skin. Although arguably having become more of a diluted vehicle of expression in modern times, tattoos are still seen as an important way to express one's heritage or culture for people's such as the Maori - but could tattoos infringe copyright? Currently there is no concrete precedent as to tattoos and copyright; however there are instances which might argue that tattoos could potentially fall under copyright. Cases relating to Mike Tyson's (in)famous face tattoo depicted in the Hangover 2 and a lawsuit over Ricky Williams' tattoos which were depicted on the cover of an NFL game in 2004, have all been settled prior to litigation, showcasing a clear reluctance for taking the matter to court. These two cases are by no means the only ones of their kind, but clearly indicate there is value in protecting tattoos. In a recent turn of events the NFL Player's Association has brought up the possibility that players' tattoos could bring copyright infringement lawsuits, further highlighting this potential issue. Most countries in the common law, such as Australia, the UK and Canada do allow for 'artistic works' to fall under copyright, often encompassing drawings which potentially could contain tattoos within them. With the NFLPA and others raising possible issues relating to tattoos, one can easily argue that a case over tattoos and copyright could carry merit and would be worth consideration by the judiciary. Clearly the power is in the hands of the tattoo artists and their discretion as to whether to sue for copyright infringement in the event that their work is displayed in television, movies or even video games. Some countries do prescribe provisions which offer protection from copyright infringement in incidental inclusion in television and movies. 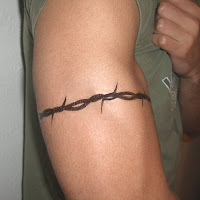 Australia and the UK for example have such provisions, clearly avoiding copyright infringement should any tattoos be displayed in a television show or a movie purely through their incidental inclusion. 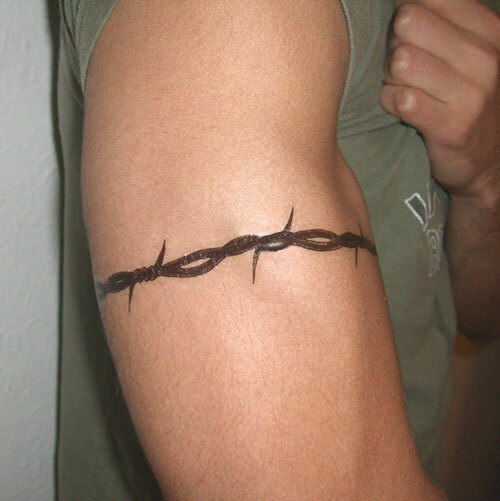 This is not to say it offers full indemnity, as in the case of the Hangover 2 the inclusion of the tattoo design was clearly intentional and a vocal point of the plot, possibly not falling under such protection provisions. In addition to this the provisions do not mention the possibility of incidental inclusion in video games, opening up any claims for instances in that particular medium. What has to also be said are possible hurdles relating to tattoos and originality when claiming for copyright infringement. Cases relating to arguably generic designs, a good example of which is case which dealt with an anchor design on Kate Moss' hand in an advertisement, raise questions whether these designs could actually be protected by copyright. If a design shows no clear ingenuity or inventive spark, one could argue that these designs would not be protected; however more intricate, individual designs could be protected. Tattoos do present an interesting dilemma when it comes to copyright, and are a subject matter which has not been considered by either the legislature or the judiciary specifically. Whether these issues will ever be taken to court is a long-shot, as the cost of settling is clearly less than litigation, and materials such as tattoos can easily be edited out of pictures, videos and other content which might contain them, therefore avoiding any infringement claims. This writer personally would love to see the matter argued at court, but this seems like an unlikely event at best.